Please visit this site on a larger device. 170 years ago, John Kinder Labatt had a vision that would shape a company and help shape a nation. 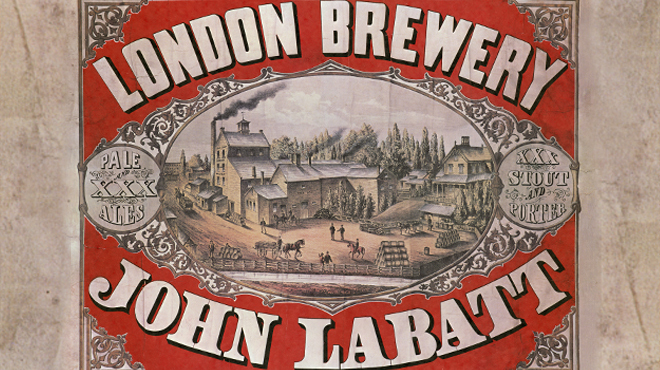 The year was 1847 when Labatt founded the brewing enterprise that would carry his name. This year, on Labatt’s 170th anniversary and Canada’s 150th birthday, we proudly celebrate John Kinder Labatt, the company he founded, and the country that has forged – and been forged by – Labatt’s legacy. The Labatt Brewing Company Collection is one of the largest corporate archives in the country, spanning from the mid-19th century to the 2000s and including valuable historical and cultural material. It was donated to Western University in 2011 and is housed at the Archives and Research Collection Centre at Western Libraries for preservation and study by students and historians. At the same time, Labatt also donated the Labatt Material Culture Collection to Museum London. Together, these two collections were valued at over $8.3 million and were determined by the Canadian Cultural Property Export Review Board to be of "outstanding significance and national importance." The Labatt Brewing Company Collection includes 45,000 photographs and illustrations, almost 15,000 audio-visual items, and almost half a kilometer of textual documents. The Labatt Brewing Company Collection – and this online exhibit – represent a distinguished partnership between Western University and Labatt. Labatt donated its corporate archive to protect and preserve the company’s valuable historical material for future generations, and to make it available for Canadian cultural and historical research. 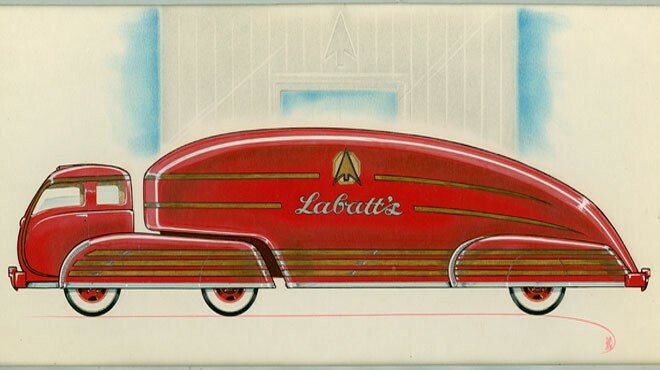 Now this online exhibit furthers that mission – making many of the most significant aspects of Labatt history available online. This exhibit was conceived and developed by Labatt and Western with valuable contributions from staff at Western Archives and Museum London, faculty members from Western University and Carleton University’s History Departments, and students from Western University’s Library and Information Science and Public History programs. All images in this exhibit are from the Labatt Brewing Company Collection at Western Archives unless otherwise indicated. For additional information about any aspect of the Labatt Brewing Company Collection, please visit Western Archives’ website: https://www.lib.uwo.ca/archives/. If you have questions, please contact the Western Archives’ reading room at 519-661-4046, or email arccserv@uwo.ca. Unless otherwise noted, all materials that form part of this virtual exhibit are owned by Labatt Breweries of Canada or Western University or are protected by copyright law and used with permission. Western Archives has taken all reasonable efforts to ensure that materials for which other institutions hold copyright are reproduced with the full consent of the copyright owners. We invite you to use the material in this virtual exhibit for non-commercial education, study or research purposes and any other use permitted by the Canadian Copyright Act with proper acknowledgement or citation of the copyright owner and the virtual exhibit. Copyright and other propriety notices should be kept intact with the material. For any other purposes, especially commercial, express written permission from the indicated copyright owner is required if you wish to reuse material from this virtual exhibit in any way. We wish to acknowledge and thank all the rights holders whose material appears in this virtual exhibit.